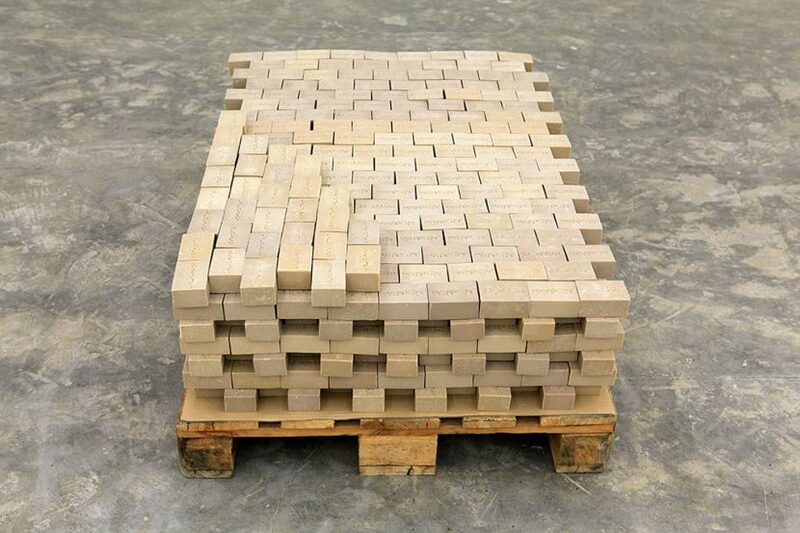 In 2014 he respond to the content of this workshop, realizing an ephemeral sculpture, composed of Hundreds of soap bars, piled up on a wooden pallet, isolated in the middle of a room. 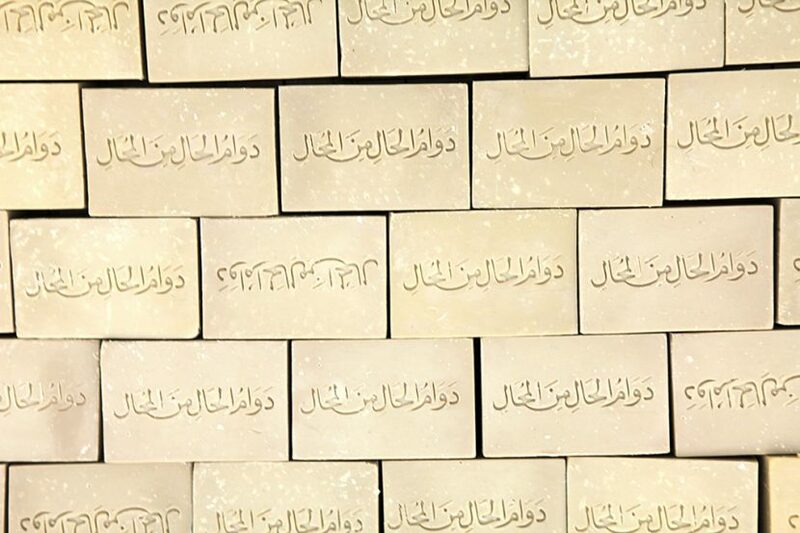 The Arabic saying Dawam el Hal Men Al Mohal, which means « No condition is permanent » is engraved on each bar, with a stamp specially made for the installation. In Arab countries, this sentence is used when people are confronted with painful situations, like the loss of an acquaintance. The adage brings comfort and hope in difficult moments by carrying the idea that pain will not last. But, in fact, this hopeful sentence carries its own contradiction, emphasizing the weight of relativity on human conscience. It sounds like a reminder of our own condition. 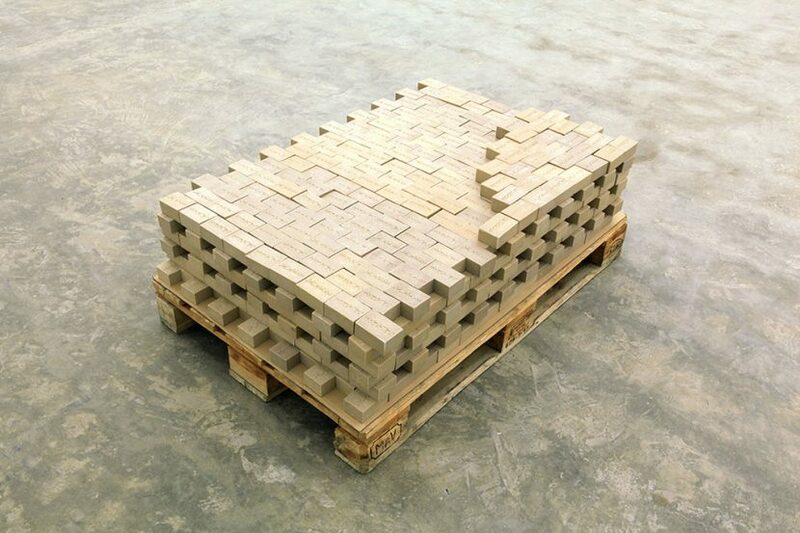 The fragility of this faith in better days is highlighted, not only by encouraging people to take away part of the art piece with them, but also by the fragility of the material itself. 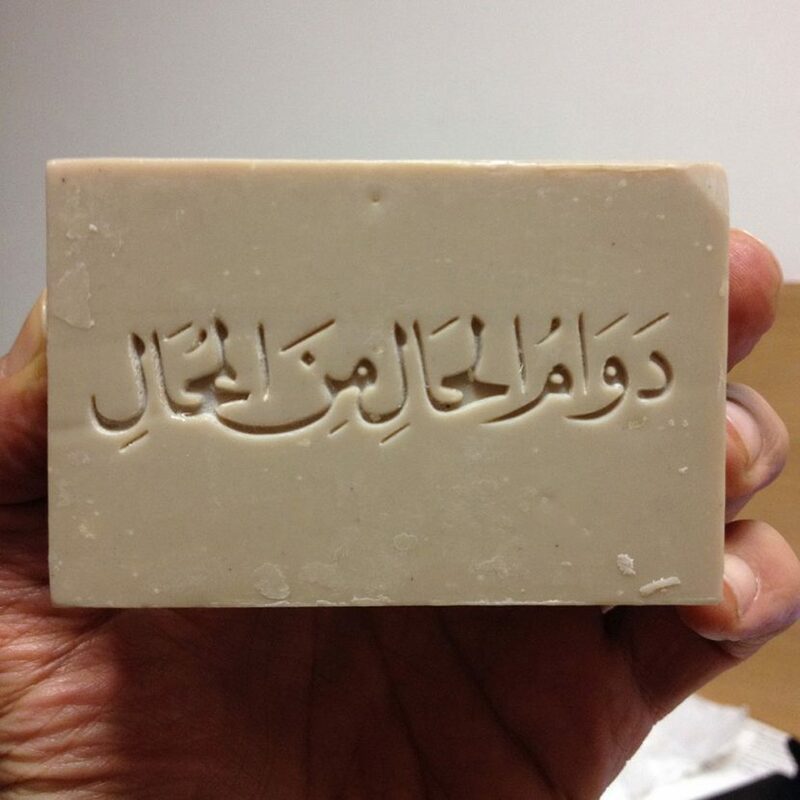 The artist previously touched upon the frailty of material in the installation Man Does Not Live on Bread Alone #2 (2012-2013), for which he engraved on household soaps the Universal Declaration of Human Rights’ article 13. Contrary to a message engraved on stone, one stamped on a bar of soap is doomed to vanish with time and use.